You’re strolling through Pinterest enjoying a rare quiet moment on your den computer. You feel bathroom envy bubbling up. Your mind starts to wander. 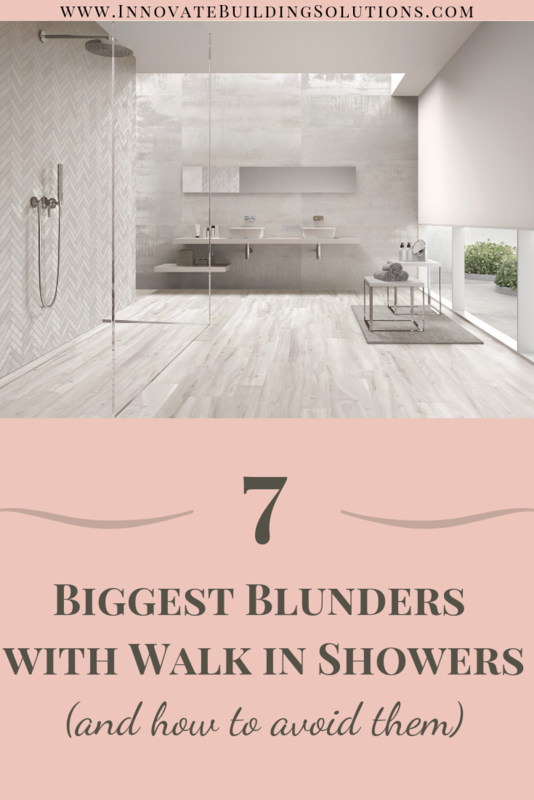 You think about expansive luxury walk in showers, separate free-standing bathtubs, and beautiful chandeliers gracing the wide-open spaces. What would it be like to have a bathroom like that, you think. Then your 17-year-old son barges in and says, “Mom, what’s for dinner?” Now you’re grounded back into the reality which is your life. 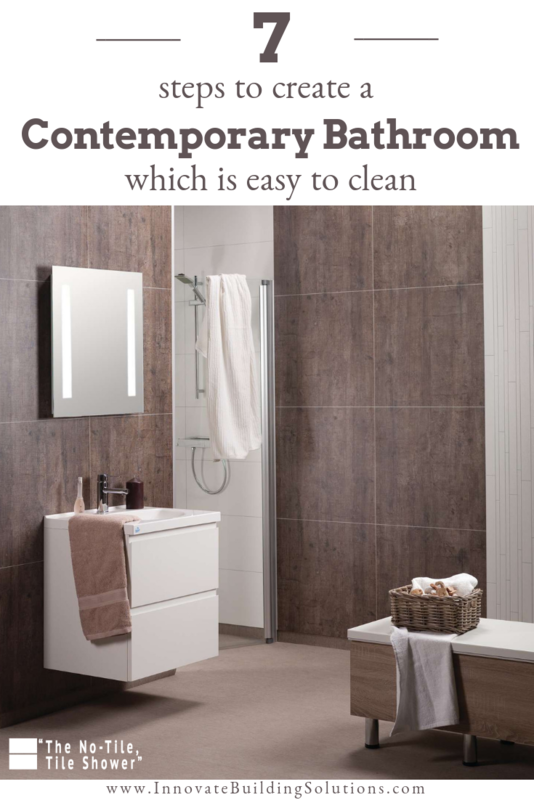 You don’t have an expansive bathroom. You have a tight 5’ x 8’ space like most suburban Cape Cod, ranch or 2 story homes. 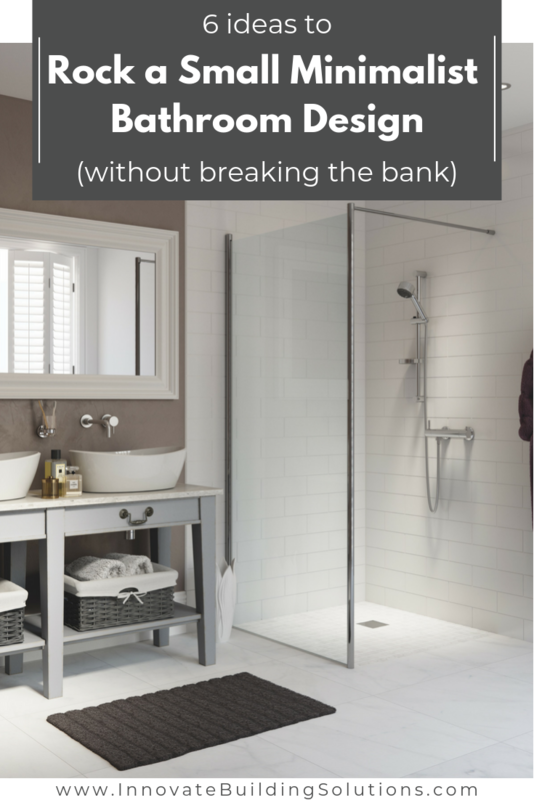 You don’t have space for both a free-standing tub and a shower (unless you can figure out how to bolt the tub in upside down on the ceiling and determine how to have water suspended in mid-air – that’s a bit crazy). A chandelier also isn’t happening. You would probably walk into it with your 8’ high ceilings. 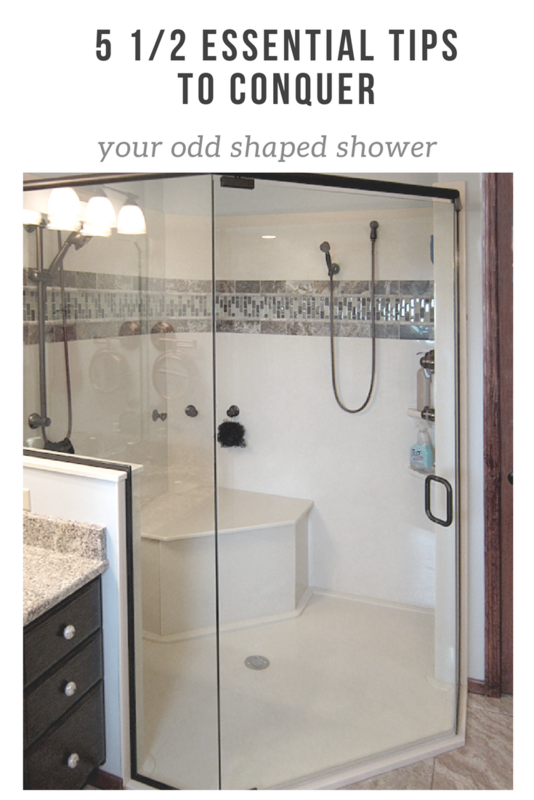 You want the luxury, style and low maintenance features of a walk in shower. You realize you’re stuck with a 5’ x 8’ space unless you get creative. Maybe you could blow out the wall into your son’s bedroom and make him sleep in the basement? That’s an idea. 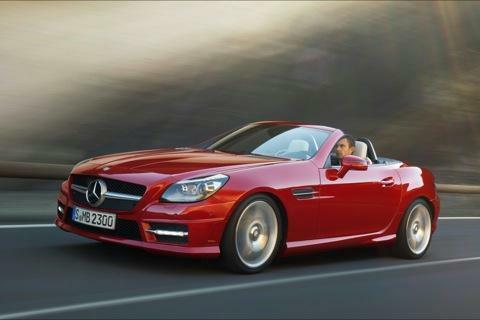 OK, maybe it’s not too practical. 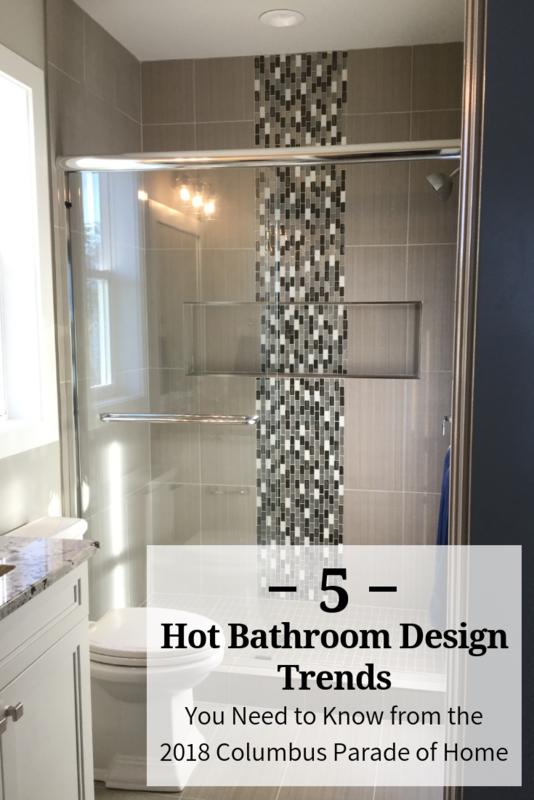 The challenge becomes how can you design a walk-in shower which will work in your 5’ x 8’ suburban bathroom (or tiny loft apartment or cramped historic home for that matter)? 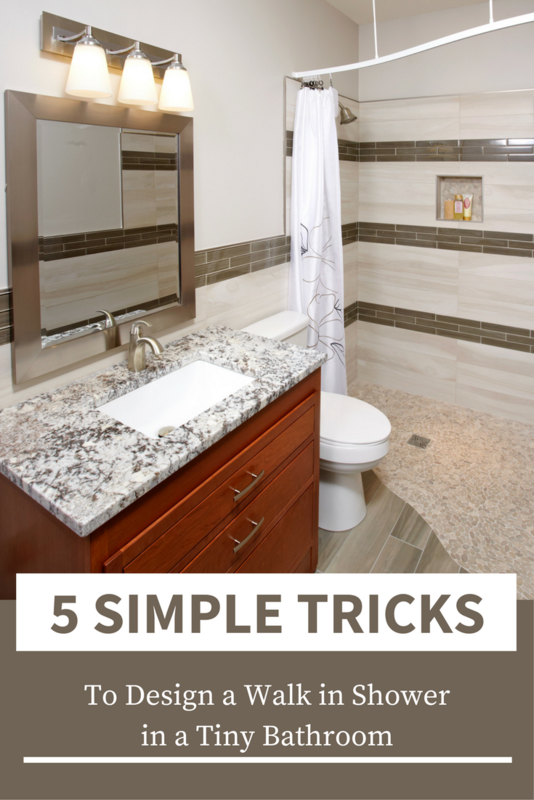 In this article I’m going to give you 5 simple tricks to make a cool walk in shower possible even if you don’t have the benefit of the mega “Pinterest-esque-sized” bathroom you wish you had. As a bathroom and shower remodeling geek I HAVE TO check out the Columbus Parade of Homes each year. It’s fun to see what the crazy designers and builders can do to inject personality, fun and function into their home designs. This year’s group of 9 homes did not disappoint. These homes were not the generic overly-beige Mid-Western drab spec home stuff you can tend see in the Central Ohio new home building market. There were drool-worthy kitchens, living rooms with cool Mid-Century modern styling, and relaxing bedrooms to give anyone a big case of house-envy (I’m glad my wife wasn’t with me otherwise she might have got the “urge to redecorate.” This urge can give me a bad case of hives – but I digress). I completely enjoyed the bathrooms and showers in these homes. Maybe it’s because I’ve been in this remodeling world too long – or I’m a bit touched in the head (or both). 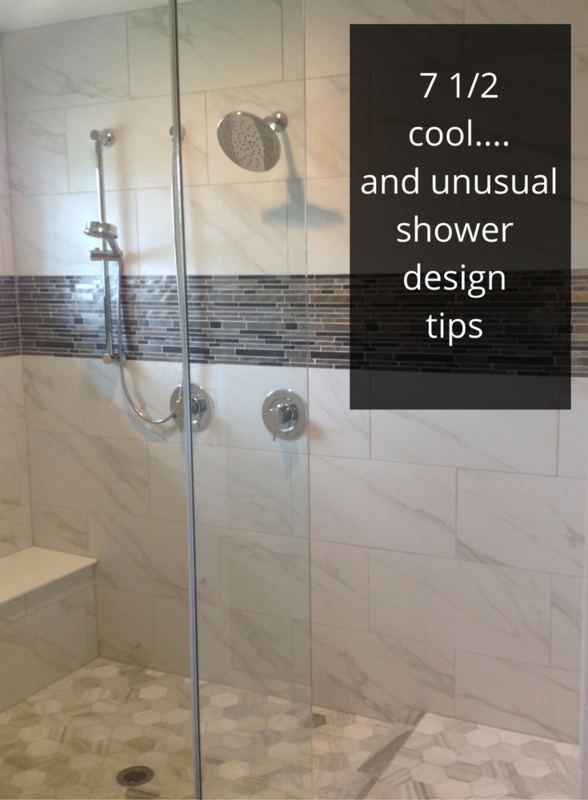 However, I’m jazzed by cool looking showers and the products used to make them not only functional – but special and practical for people in any stage of life to use. On an overcast Thursday afternoon, my trek through the homes began. I caught a crazy day because half-way through my tour it poured on me as I sprinted from house to house with my iPad taking pictures (I asked people in each home if the dryers in their homes were turned on to dry out my shirt – nobody took me up on that offer though. I guess the concept of a half-naked guy in their Parade Home wasn’t the ambiance these builders were looking for!). 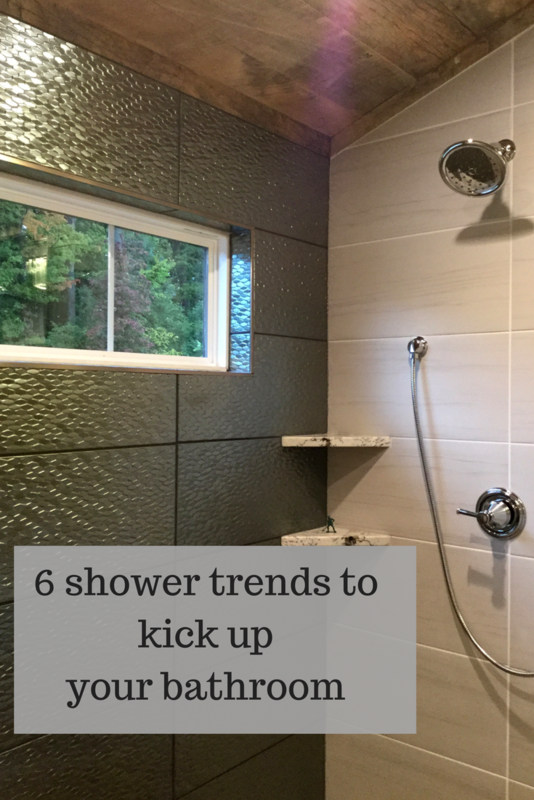 Below you’ll find my summary of 6 shower trends I saw live at the Parade – and 3 new ideas I didn’t see this year (and hope to find on display next year). At the end of the article I’d like to ask you to do me a favor. Comment on which trends you think would help you existing home the most (or you’d want in a new home). If you think any of these trends are a waste of time, money or space – give me your 2 cents on that also. Quality debate is cool. At the end of the article, I’ll also give you my vote for the coolest shower from the show. The Italians might have perfected the art of designing and manufacturing tile but these “Ohio State Buckeyes” (AKA Columbus Ohio custom builders) certainly have perfected the art of installing tile showers in unique ways. The gawkers (me included) through the 2016 BIA Parade of Homes are saying – wow! As I quickly toured 9 of the 16 homes (I had 2 hours to “walk” – I moved fast- the show before picking up my daughter – definitely not enough time to take in this years’ Parade) I was blown away by the ingenuity of the custom builders in Central Ohio. I wish I could have visited all 16 homes – but life got in the way. If you have a chance get out to this year’s show. 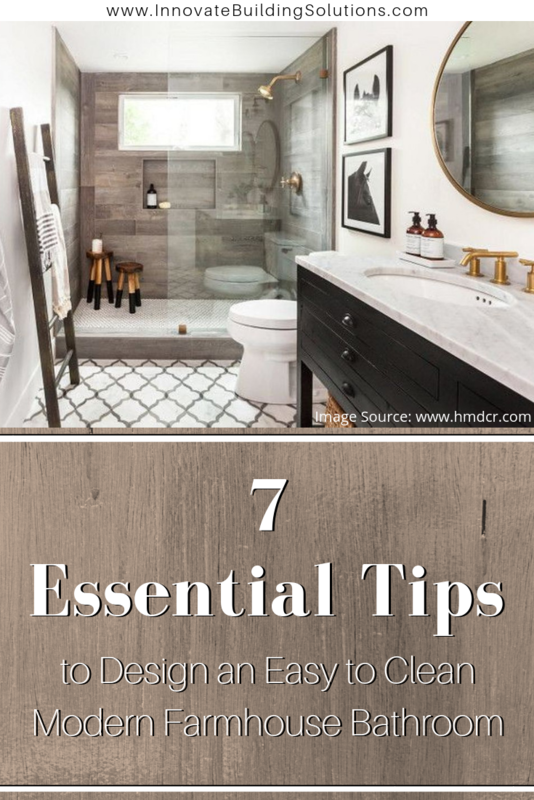 If you don’t have the time I’m going to give you a deeper look a 7 1/2 cool and unusual tile shower design tips to ramp up your home – even if you aren’t building a $750,000 + new home (unfortunately most aren’t but wish we were!). You may wonder what the “½ tip” is. 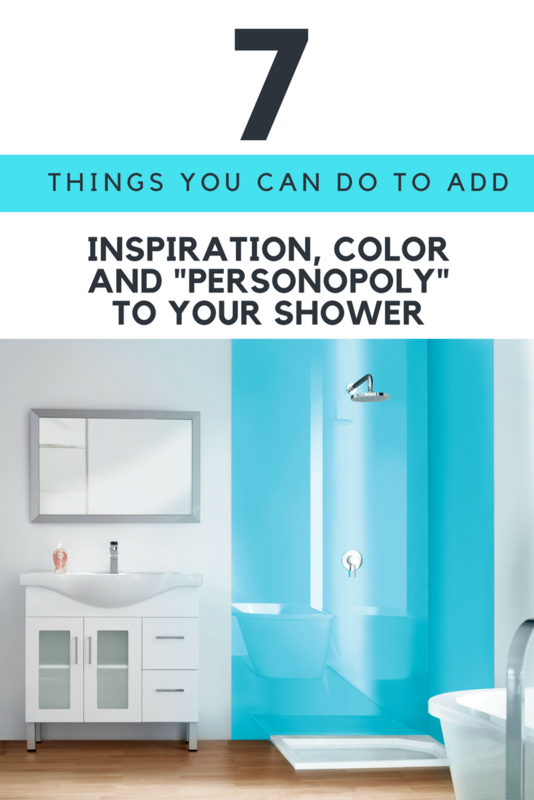 You’ll have to read the article to find out, but I’ll give you a hint, it’s my 2 cents of some cool things I didn’t see but I think are important ideas in shower design which matter for today’s families. Let’s check out these tips.